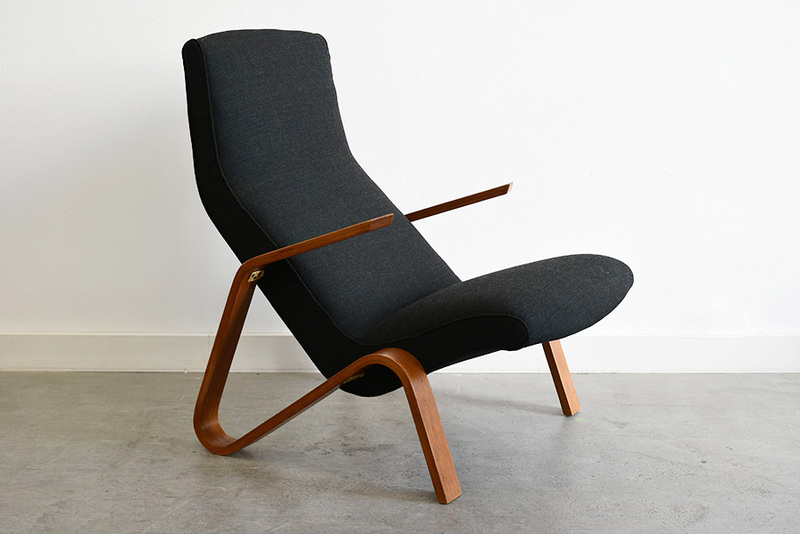 View cart “Lounger Sanatorium Martel de Janville | Jean Prouvé & Jules Leleu | Atelier Prouvé” has been added to your cart. 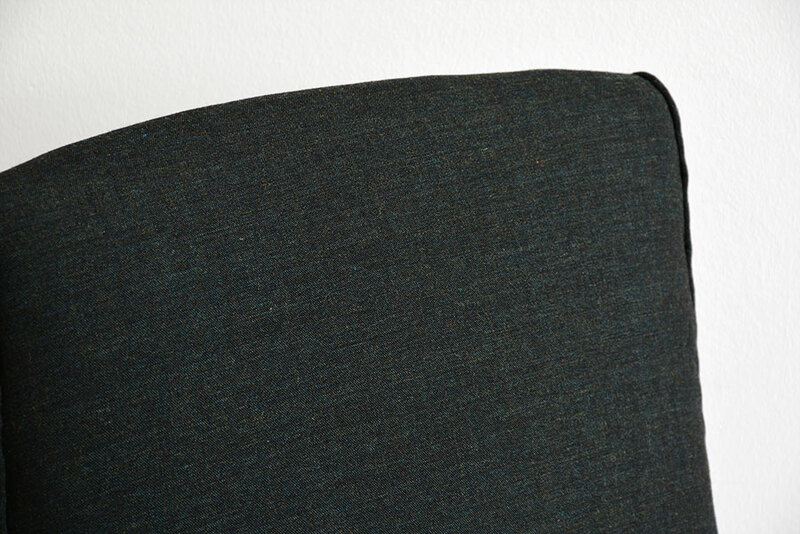 Armchair newly upholstered with Kvadrat fabric (Remix) on walnut frame. Very good condition, with slight wear on the wood. Knoll / Wohnbedarf, 1947. No longer in production. Grasshopper armchair by Eero Saarinen, for Knoll / Wohnbedarf, 1948. 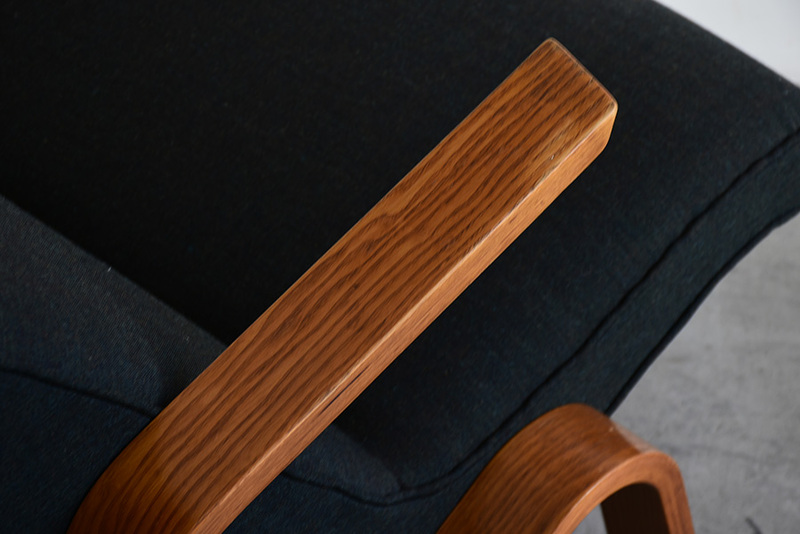 Designed in 1948 by Eero Saarinen, the Grasshopper armchair presented here comes from the beginning of the production with visible seat-wood connexions parts (in later production, the connexion parts are no longer visible.). 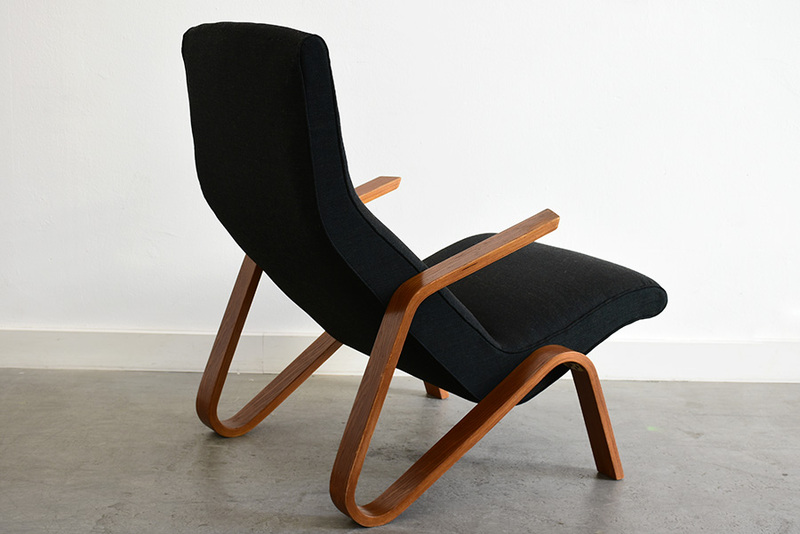 This is a rare and early Swiss Knoll / Wohnbedarf production. A must have for collectors.